Kyiv Reservoir. 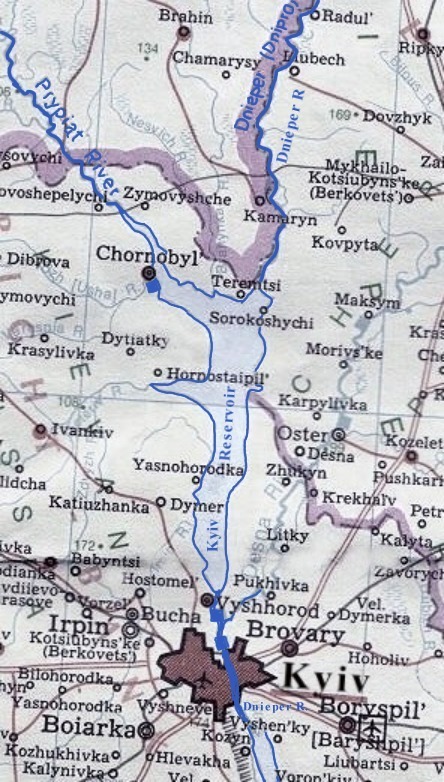 (Map: Kyiv Reservoir.) 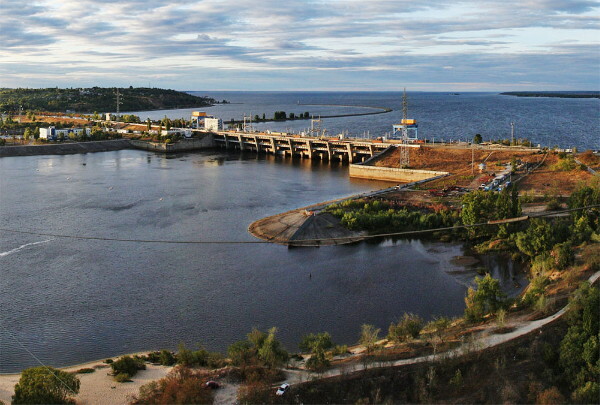 The uppermost water reservoir of the Dnipro Cascade of Hydroelectric Stations. 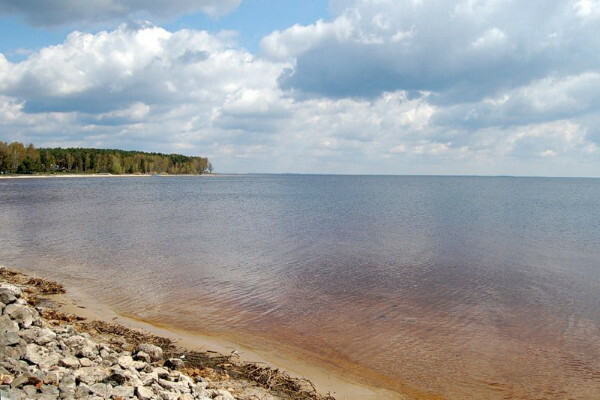 Created north of Kyiv in 1960–6 after the dam of the Kyiv Hydroelectric Station was built, it is 110 km long and up to 12 km wide (average width 8.4 km). It has a surface area of 922 sq km, a volume of 3.7 cu km, and a usable volume of 1.2 cu km. Together with the Kakhovka Reservoir, the Dnipro Reservoir, the Kamianske Reservoir, and Kremenchuk Reservoir, and the Kaniv Reservoir, it has facilitated long-term regulation of the Dnipro River and created a deep-water route on the river, although it has also contributed to ecological problems (diminished flow velocity reduces water oxygenation, which has a deleterious effect on the balance of aquatic life forms). Its water is used for hydroelectricity generation, industrial and public consumption, and irrigation.